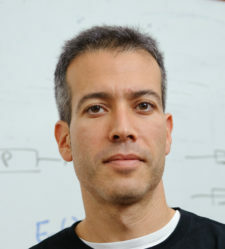 For the last 8 years, Professor Eran Segal and his lab at the Weizmann Institute of Science have been studying the gut microbiome and the role it plays in health and disease. On February 7th, Segal spoke on his past and ongoing research as the invited speaker for the inaugural Burnell Symposium at Cornell Tech. A Stanford-trained computational biologist, Segal focuses on the relationship between nutrition and the microbiome. Despite the enormous impact of food on health, there is a lack of consensus around what constitutes healthy nutrition. Inspired by this, Segal’s lab initiated the “Personalized Nutrition Project” to systematically study heterogeneities in blood glucose response across individuals. The project recruited 1,000 participants and collected over 50,000 blood glucose responses to a variety of meals, tracked against participants’ meal frequencies and medical and gut bacteria profiles. Ultimately, the study found that no single recommended diet is optimal for everyone: When the same person ate the same meal, the results were highly reproducible, but when different people ate the same meal, the results were highly variable. To explain this variability, Segal used machine learning to predict individual blood glucose responses from clinical and microbiome data and generated personalized diets aimed at moderating blood glucose levels. They recruited 200 participants, half of which were given the standard of care diet recommended by the American Diabetes Association (ADA) and half given personalized diets generated by the algorithm. After six months of intervention and six months of follow up, interim analysis showed the algorithm-generated diets were able to significantly reduce (by 60%) blood glucose when compared to participants’ habitual diets. The startup, Day Two, has integrated these algorithmic diets into a consumer application. Segal’s lab also studies the gut microbiome’s circadian rhythmicity, the effectiveness of probiotic supplements in colonizing the microbiome, and the role of artificial sweeteners in susceptibility to metabolic disease. Their studies have found that the gut microbiome is primarily determined by the environment, particularly food intake, and is associated with trait variability in metabolic factors such as HDL cholesterol and body mass index. More details regarding Segal and his lab’s research can be found here. With his research, Segal is uncovering the intricate connections between the gut microbiome and human health. Through his talk, Segal illuminated how future computational models of the gut microbiome could lead to better health outcomes and forge a path towards a more personalized approach to medicine. The Burnell Symposium is hosted by Roger and Joelle Burnell, who have endowed the Roger and Joelle Burnell Chair in Integrated Health and Technology at Cornell Tech. The full talk is available here.